It’s official: I’m retired ! After more than 20 years teaching at Georgetown, the word “emeritus” has been added to my title … I’ve learned that emeritus means “honored retiree”. Whew! I had always thought that it was something much more ominous. I don’t golf (yet) … and after my stints in consulting, I’ve had all of the travel that I need. 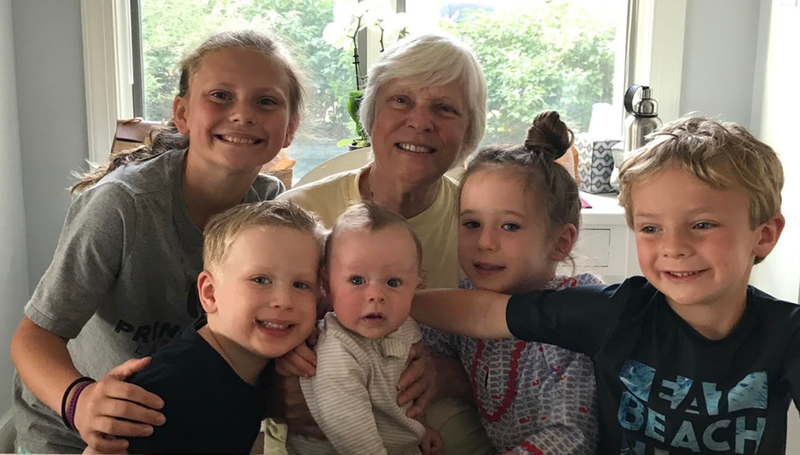 My motivation: I want to spend as much time as I can with my 5 awesome grandkids. Frosting on the retirement cake: more time with my 1 awesome wife Kathy, 2 awesome sons, 2 awesome daughters-in-law, and our 1 occasionally awesome dog Daisy. I plan to keep blogging on HomaFiles … to keep me reading, thinking and writing … and, to stay connected with loyal HomaFIles readers. This entry was posted on June 4, 2018 at 6:59 am and is filed under Homa, Ken. You can follow any responses to this entry through the RSS 2.0 feed. You can leave a response, or trackback from your own site. Congratulations Prof (emeritus) Homa!!! Enjoy the time with your family! I hope you don’t retire from THE HOMA FILES! Congratulations Ken! A huge loss to the future students @Georgetown. You made a difference to many. Keep well my friend! Congratulations on your retirement! Enjoy your beautiful family, Professor! Congrats on your retirement Prof. Homa. Wish you the best. Thank you again for your amazing classes – I am sure MSB will miss you! Enjoy the time with the family and please keep posting! Thank for everything, Professor. The classes I took with you at Georgetown were truly some of the most insightful and innovative. I use lessons learned there everyday at work.